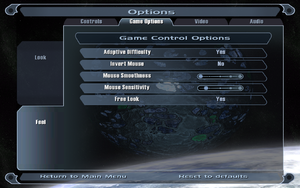 This page is for the game released in 2006. For the game released in 2017, see Prey (2017). SecuROM DRM disc check. Install v1.4 Patch to remove disc check. CD keys activate on Steam. No online play (LAN only). Windows version is no longer available digitally. Retail Windows/Linux, retail Mac and Steam keys are compatible with each other. Online play is not available in the Mac App Store version (LAN play is supported). v1.4 Patch is the latest patch for the retail version. Retail boxed versions may be SecuROM protected (which requires the disc to be in the DVD drive). This patch removes the protection. 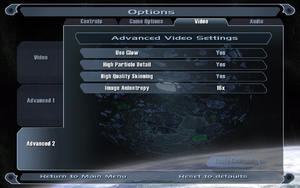 All downloads available for the game can be found at the 3D Realms Prey download page. 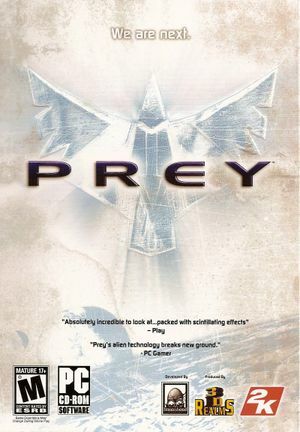 A free client that allows Prey to be played natively on Linux machines. It requires either a full retail copy or the demo to use it. Backup and remove libSDL-1.2.so.0 library in <path-to-game>. 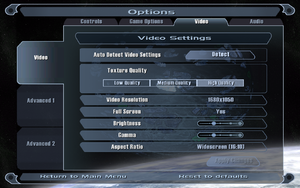 See Widescreen resolution for unlisted resolutions. 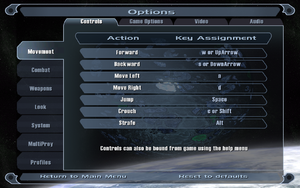 Open console with Ctrl+Alt+~ and use g_fov X command. Capped at 63 FPS. Game runs too fast if the frame rate cap is removed. Some resolutions like 1280x768 and 1920x1080 must be set manually. Go to configuration file(s) location. Change seta r_customHeight "486" and seta r_customWidth "720" to your desired resolution. Change seta r_mode to "-1"
Change seta r_aspectRatio to your aspect ratio. "0" is 4:3, "1" is 16:9 and "2" is 16:10. Prey may automatically set Nvidia Gsync monitors to 60 hz with gsync disabled. This will result in noticeable screen tearing. 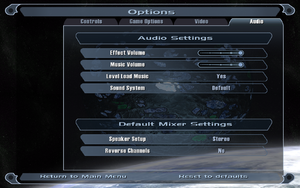 This can be fixed by manually resetting the monitor to a higher hz output. 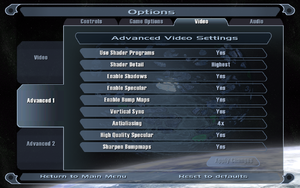 This will not affect the in-game framerate, but will solve the screen tearing. Only selectable in the retail version. 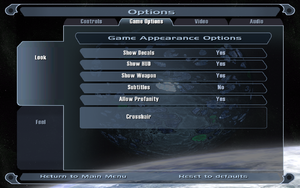 Only selectable in the retail version. See below for the Steam version. Official localization by 1C-Softclub. Only available in Russian retail release or here. Change seta sys_lang "english" to seta sys_lang "italian". Master Server is down, use Direct IP to connect servers. Not available in the Mac App Store version. Enter IP:Port in MultiPrey > IP Connect. Disable Pure Server to allow cross-platform multiplayer between Mac and PC (Windows, Linux, Steam) releases. Open preyconfig.cfg with a text editor. Paste bind "F8" "toggle r_fullscreen; vid_restart" at the bottom of the file. Switch to windowed mode F8. Install libopenal1, libopenal1:i386, libasound2, libasound2:i386 packages with your distro's software manager. Edit preyconfig.cfg with a text editor. Change seta s_useOpenAL to "1"
Change seta s_deviceName to "OpenAL Soft"
Mac App Store version only. ↑ 2.0 2.1 File/folder structure within this directory reflects the path(s) listed for Windows and/or Steam game data (use Wine regedit to access Windows registry paths). Games with Steam Cloud support may store data in ~/.steam/steam/userdata/<user-id>/3970/ in addition to or instead of this directory. The app ID (3970) may differ in some cases. Treat backslashes as forward slashes. See the glossary page for details.